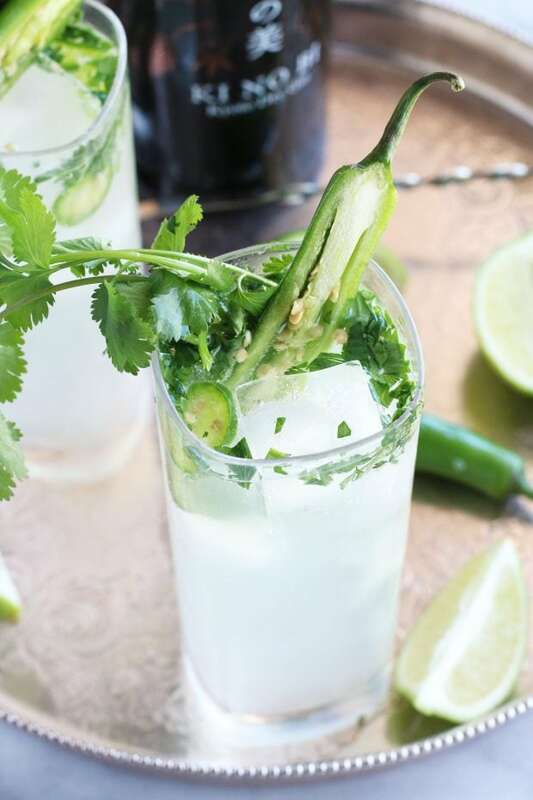 A Serrano Cilantro Gin and Tonic is a spicy flavor explosion of boozy perfection. 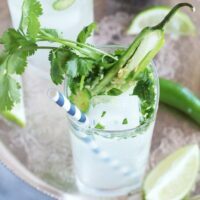 The delicious heat of the serrano pepper with herbaceous cilantro and floral gin come together in this highball glass to make a wonderfully balanced drink that will be the star of your next cocktail party! 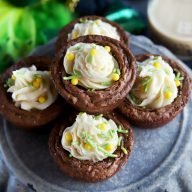 Cinco de Mayo is coming up fast, and as it’s one of my favorite days to make all the Mexican-inspired food and drinks, I thought it was high time I made a version of one of my favorite cocktails with a spicy twist. 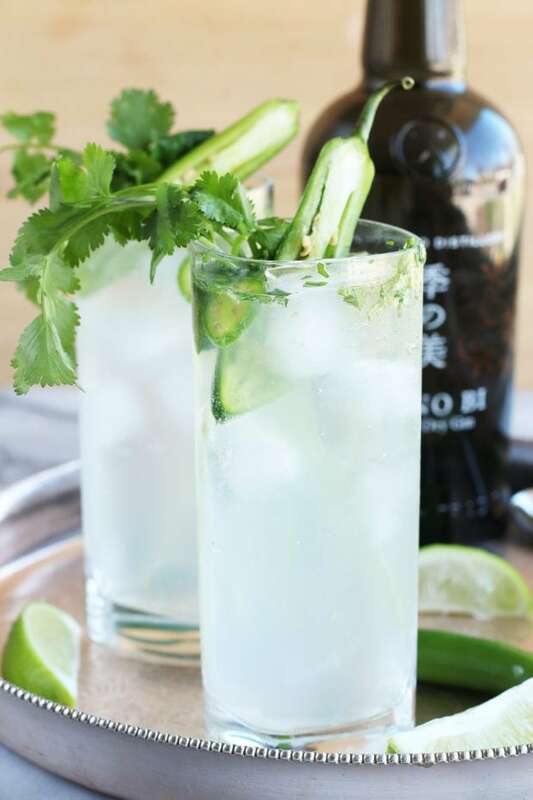 When I went to Dublin a handful of years ago, I was inspired to make ALL the gin and tonics after having a cilantro gin and tonic. 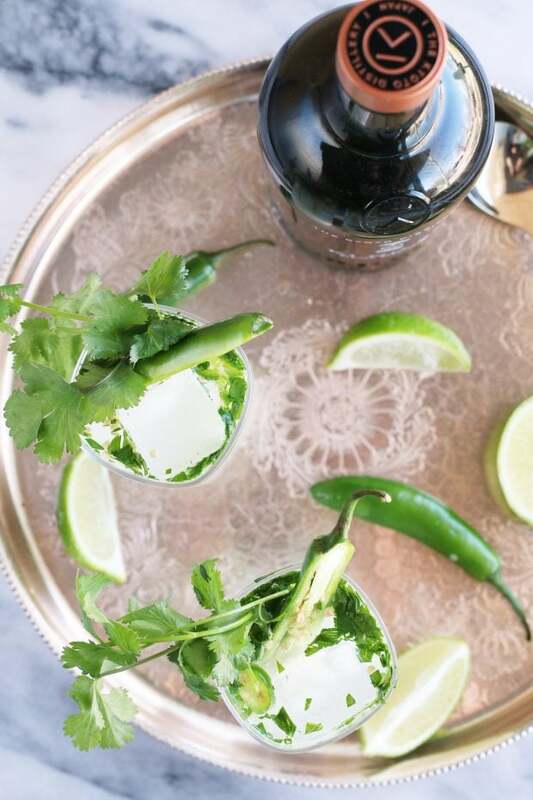 I came back immediately and made my own version of a Cilantro Lime Gin & Tonic to indulge in – long story short I’ve been addicted ever since. It seriously cracks me up that cilantro is such a divisive ingredient. After spending a week on a jury with a handful of individuals who absolutely hate the herb, I discovered just how deep the passion runs. Correction: I realized just how passionate I am about cilantro and how fantastic it is. 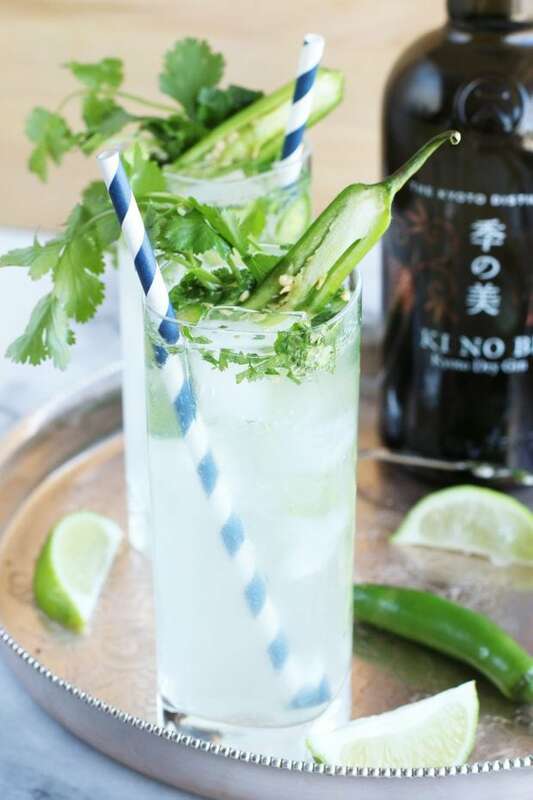 So now that I have all my cilantro lovers with me, let’s talk about this insanely flavorful cocktail. It’s herbaceous and bright, which pairs fantastically with the floral gin! 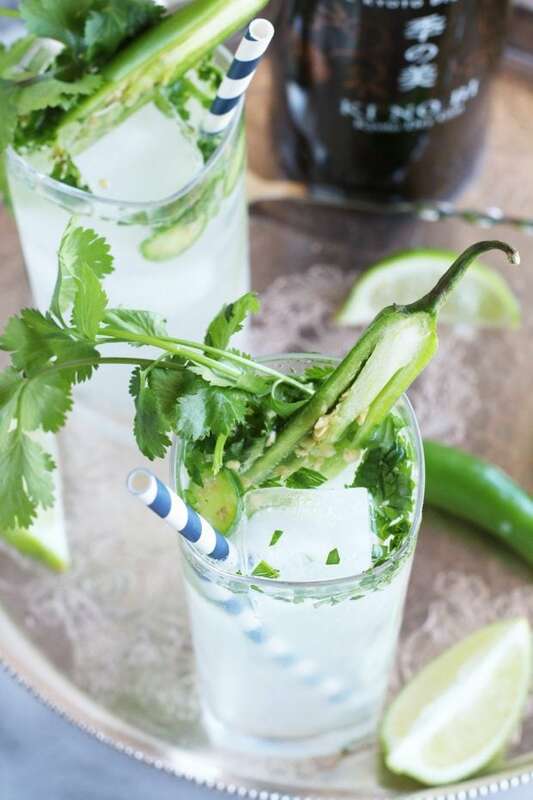 The twist of adding the serrano pepper adds this incredibly delicious heat to the drink that tickles your taste buds in the best way. 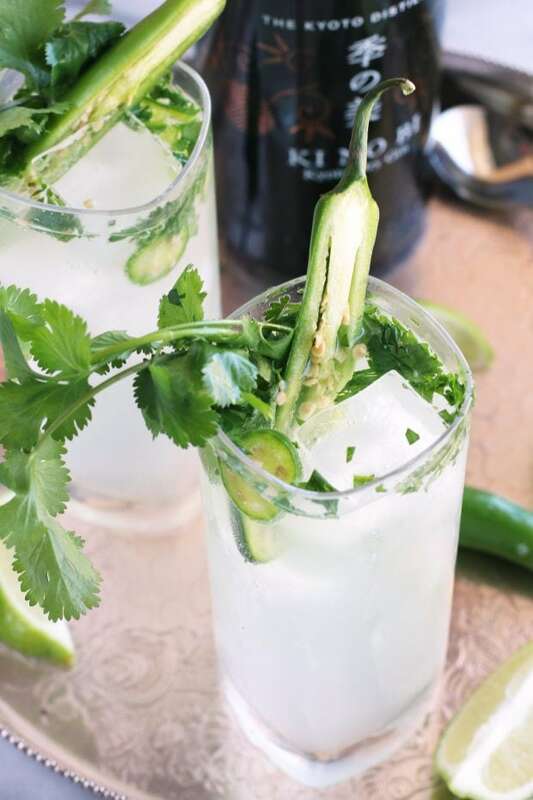 I LOVED this Cilantro Lime Gin & Tonic I made once I returned from adventures in Dublin, and by adding the spicy pepper to the cocktail, it really amps up the floral notes in the gin somehow. 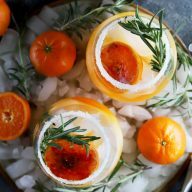 You’ll love the surprising heat that comes through in each sip, paired with cilantro and gin to make it feel like you are drinking happiness in a glass. Pin this Serrano Cilantro Gin and Tonic recipe for later! 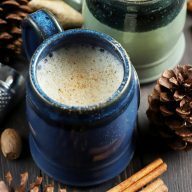 The spicy, herbaceous take on a floral gin and tonic is just the cocktail to tickle your taste buds with during happy hour! Pour the lime juice and gin into the highball glass. Add the cilantro and 4 to 5 slices of serrano pepper. Muddle for 30 seconds, until the they've broken up. Fill 3/4 of the way with ice cubes. Fill the remainder of the glass with tonic. Garnish with a bunch of cilantro and additional serrano peppers if desired.